Do you want to stand out on the road? If you do, the RBP license plate frames are a perfect addition to your vehicle. The RBP license plate frames are manufactured using high quality aluminum that is coated with a black powder coat paint finish. The polished aluminum and black powder coat paint combination is going to make the corrosion process impossible, giving you long lasting style. You can choose the license frame and logo plate. 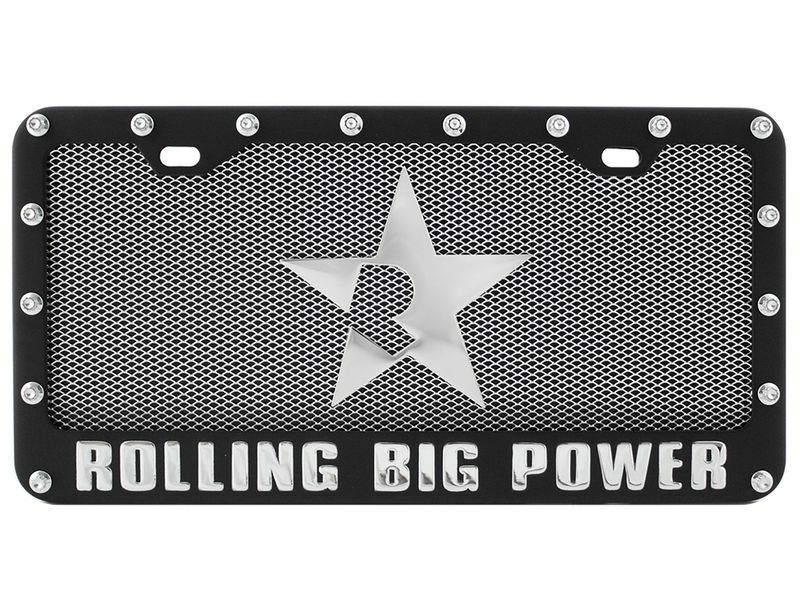 The license frame and logo plate is offering aluminum mesh with an authentic stainless steel RBP logo. Stand out with this license plate frame today. RBP offers a one year warranty on their license plate frames. The RBP license plate frame by is offering an easy installation. For additional information please call us at 1-877-216-5446 or 701-253-5906.